William Morrow Paperbacks, 9780060096205, 352pp. Saralee Rosenberg's compelling debut novel, told in a warm, wise and endearing voice, is about sisters, mothers and daughters, and loss, sacrifice and love. When Shelby Lazarus returns home to Long Island in the midst of a family crisis, she is forced to face all the issues from which she originally ran away—her mother's untimely death, her father's second marriage, her sister's neuroticism, and her own life's path. 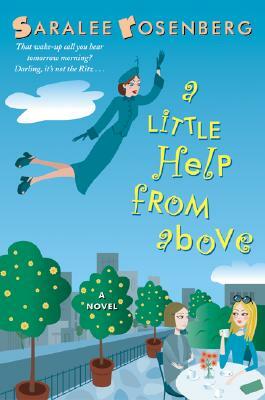 When her Jewish mother cannot help but meddle in her daughters' lives from the afterlife, it seems all that Shelby needed was a little help from above. This poignant novel, peppered with some wonderful humour, is sure to hit the heart of the women's fiction market.